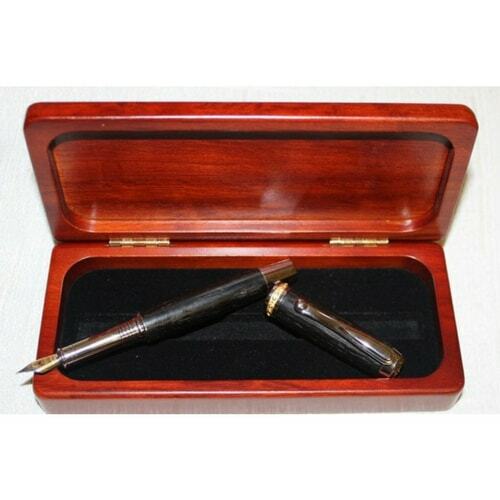 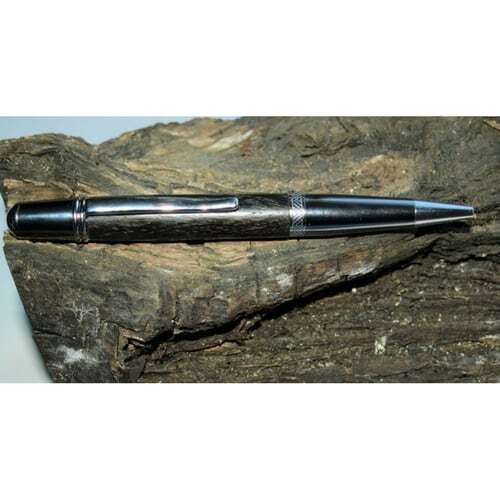 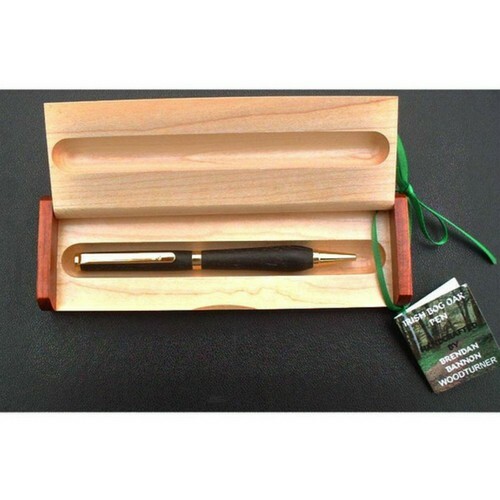 This Bog Oak twist action pen is hand-made with the highest quality components. 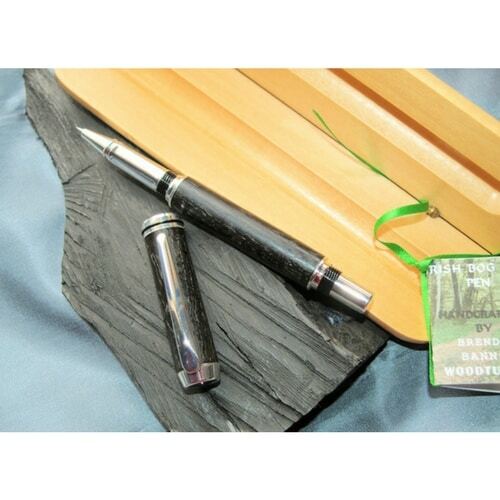 The ancient Bog Oak is salvaged from the beautiful bog lands of County Fermanagh. 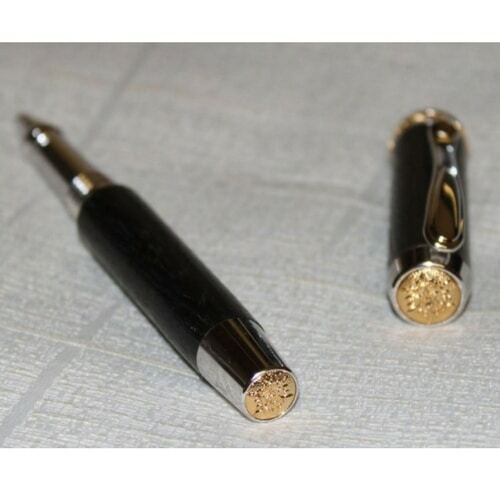 This Elegant pen is presented with a brilliant Titanium finish.